Meet the 10 most promising energy startups in Norway! ACCEL Energy is a program that will supports SME’s in creating the most captivating investor pitch and give them the opportunity to discuss the business idea with the most experienced mentors and biggest players in the industry. The program is for small companies with disruptive products and services in the oil- and gas-sector, renewable and new energy solutions. All participants have an innovative technology, business model, digitization, robotization or exciting service aimed at one or more of our partners (Equinor, Saudi Aramco Energy Venture, Odfjell Drilling, Archer, M Vest Energy, ABB, Aker Solutions and Petrolia)! RaMos // Free hand geological modelling in 3D made easy. Concept: Pitch, Pizza and Pils. Get to know the 10 most promising oil&gas startups in Norway! 1400-1415 \\ Welcome by ACCEL and GCE Subsea. 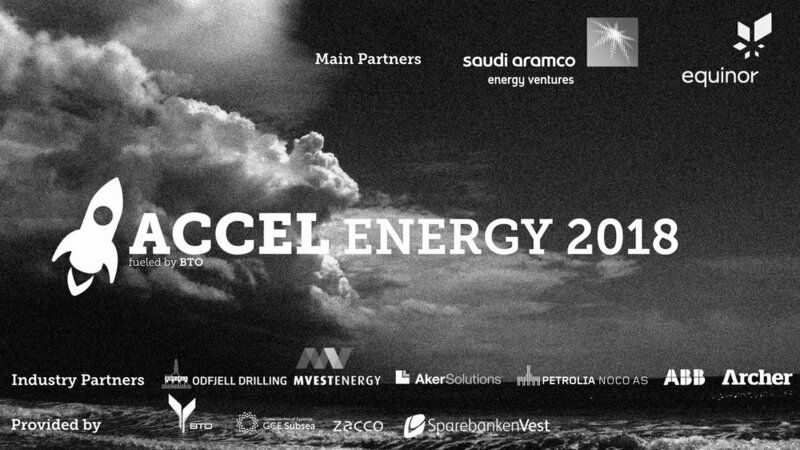 Thank you for attending the ACCEL Energy Investor Day. Please add the event to your calender. No, it’s free of charge! WILL WE RECEIVE THE PRESENTATIONS? Yes, all registered attendees will receive the presentation by email after the presentations! Yes, please do! However we have only one criteria, only investors are welcome! Please ask them to fill in the registration form for all.